MORE COMMON BIRDS OF THE ROCKPORT-FULTON AREA!! NEW BOOK! I'm pleased to share that the ACISD student birding team has prepared a sequel to the popular COMMON BIRDS OF RF Area. You can now get MORE COMMON BIRDS OF THE ROCKPORT-FULTON AREA. This book features 36 more birds. The kids researched the birds and created pictures of them. Local bird photographers contributed photographs. The book sells for $11 (includes sales tax). Full color! Nice coated paper. Profits supports WRC and the kid's birding trips. Buy at "For the Love of the Outdoors" event on April 6, 2019 or contact WRC to arrange pickup or delivery. We can also arrange mail order. The kids will hold a signing party on Saturday, April 27 at the Aquarium Education Center. You can also buy copies of the first book at these events. These are the ONLY guides that focus entirely on this area. 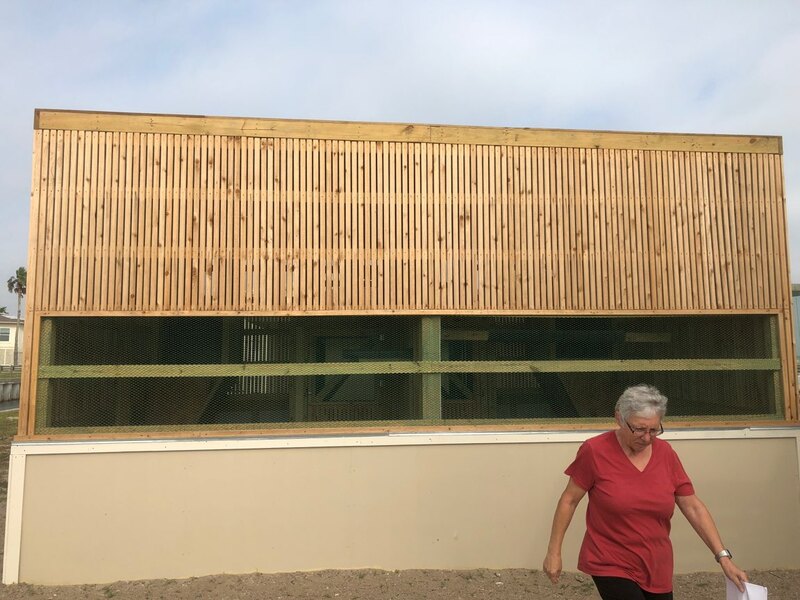 v Learn how you can volunteer NOW and help rescue and rehabilitate birds, and rescue and raise baby birds in Aransas County. 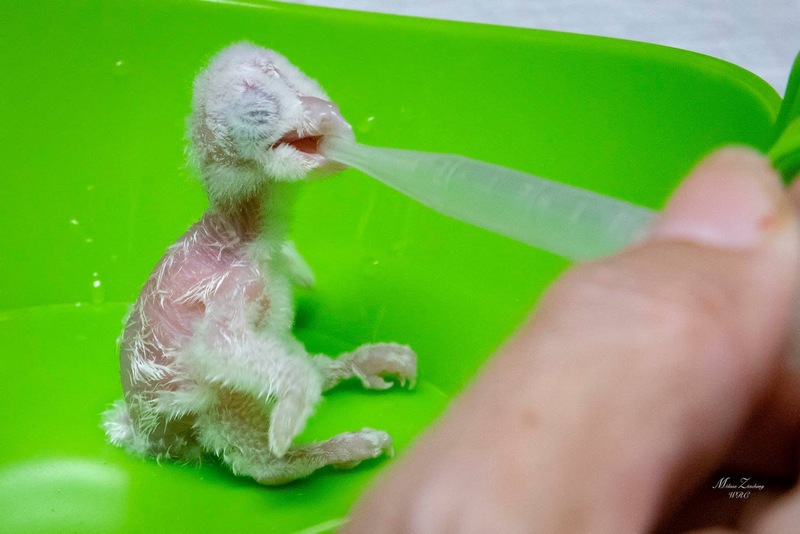 v What to do if you find an injured or orphaned bird. v Learn about local birds and how to coexist with them. v Discover all the ways you can help WRC that do not involve bird rescue and rehabilitation, such as event planning, fundraising, landscaping, and construction of cages. To register, email rfwingsvolunteers@gmail.com or if questions call 361-205-0892. 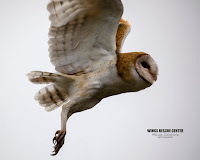 On Saturday, February 16, Riggs, a young barn owl, was released into the wild at the Linda S. Castro Nature Sanctuary in Rockport. Because WRC is not licensed to raise raptors (yet), Riggs was transferred to our partners at the ARK in Port Aransas. From there, he moved to the Texas State Aquarium's SeaLab to build flight strength in their large flight cage and learn to self-feed. Saturday Andrew Orgill with the ARK transported Riggs back to Rockport for release. 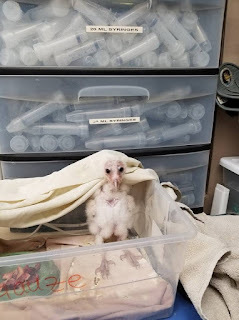 As noted in previous posts, four barn owl eggs were brought to Wings Rescue Center by some firefighters in early September 2018. 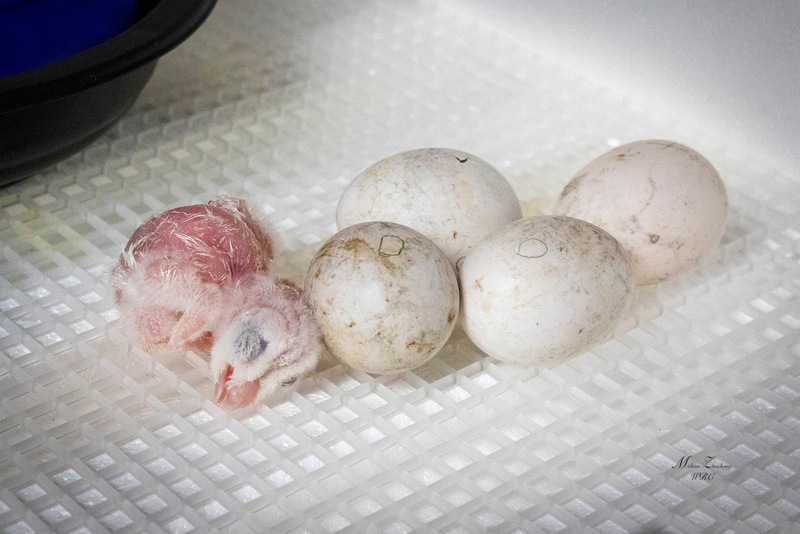 WRC is the only center in the Coastal Bend that will incubate eggs. Bird Momma, Verba, a volunteer watched over the eggs until two hatched. Only Riggs survived but he has thrived. 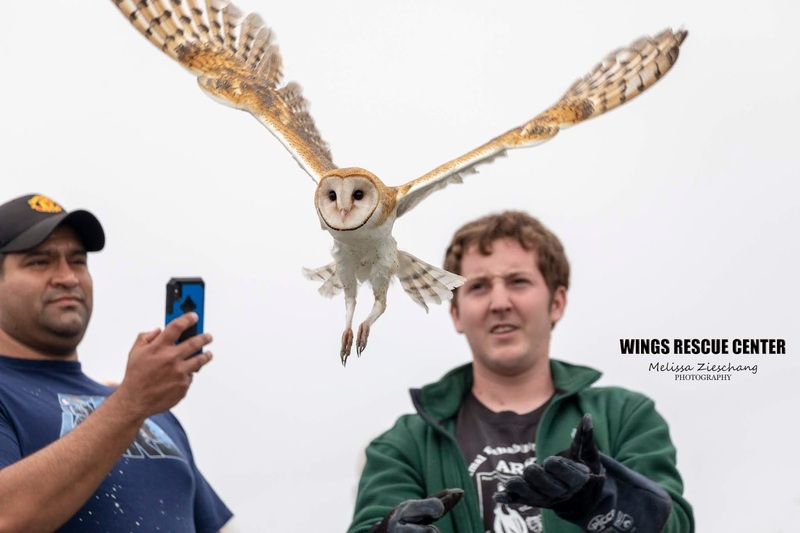 A large crowd, which included staff and volunteers from the partnering rescue and rehabilitation centers, along with members of Aransas County Bird and Nature Club, the Master Naturalists, and Firefighter Riggs were on hand to wish Barn Owl Riggs a happy, high flying life. All are hoping he will enjoy the owl box that was donated to the Castro Nature Sanctuary. The Sanctuary is located at 4041 Highway 35 N (Business 35) and is part of Aransas Pathways. The Guide Star Seal shows our commitment to non-profit transparency. Meet Riggs! He (or she) is a barn owl. 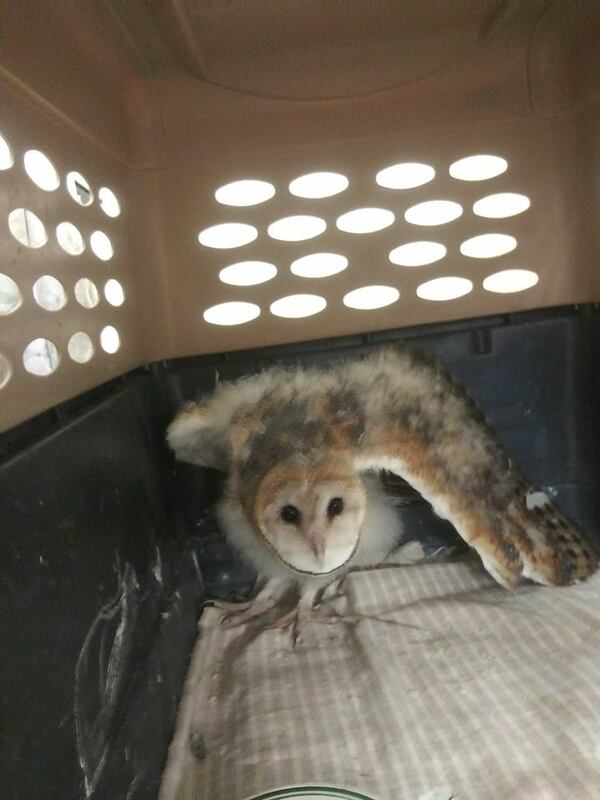 On September 6, 2018 a refinery fire crew called us about five barn owl eggs they found. Because we had been successful in incubating killdeer eggs, we agreed to take the eggs. 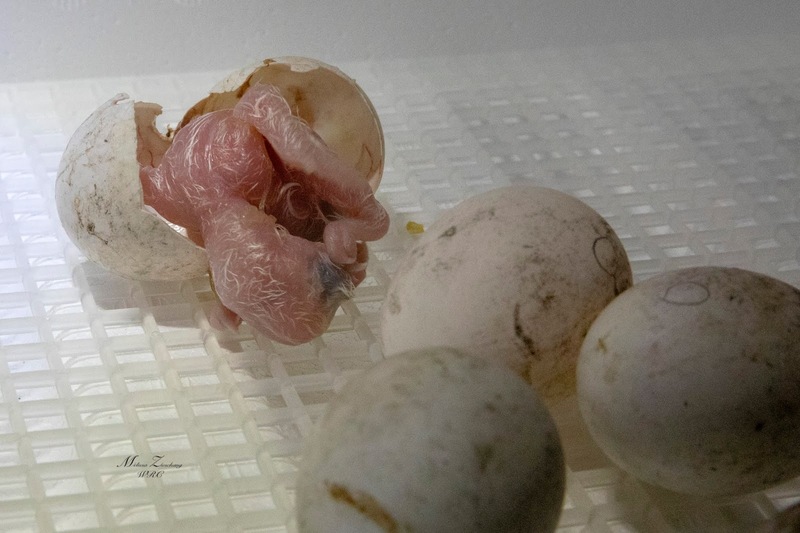 Only two were viable, and sadly one chick died almost immediately after hatching. But...Riggs survived! He's named for two of the firefighters who brought him to us. Barn owl eggs take about 30 days to hatch but we didn't really know how fresh these eggs were. Volunteer momma, Verba, kept careful watch and when signs indicated the first egg was likely to hatch, she spent the night at the Center. Riggs was born at 5:00 a.m. on September 29. 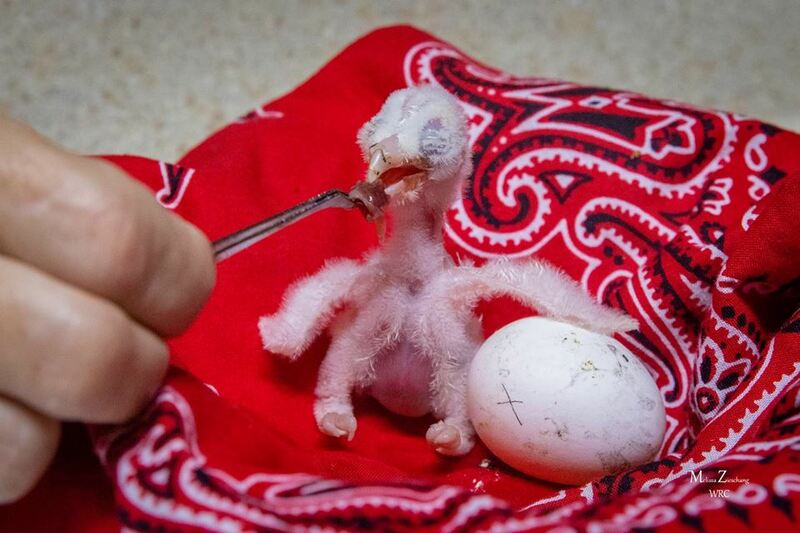 A second egg hatched a few days later but the chick was not strong enough to survive. Because WRC is not permitted for raptors, we had to receive special permission form US Fish and Wildlife Service to keep the eggs. As agreed, a week after Riggs was hatched, he was taken to the ARK in Port Aransas to be raised. Why couldn't we raise Riggs in Rockport? Since our start in April 2016, Wings Rescue Center has rescued 31 raptors. Because we lack the permit to keep them here, they have been transferred out of Aransas County to Port Aransas or North Padre Island. Why can't we get a permit to raise and rehab raptors here? We don't have the appropriate flight cage needed for the raptor permit. A raptor flight cage needs to be big enough to accommodate physical therapy for recovering birds, allowing them to fly to strengthen their wings. 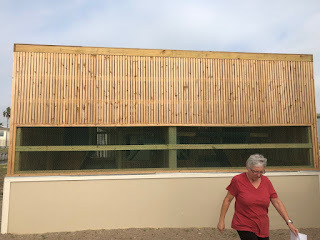 It also has to have room for prey-testing, ensuring that the birds can capture live prey to feed themselves in the wild. Our cage will need to be about 12' by 32' and about 14 feet high. It also has to be constructed of wood slats with no material that raptors can get their claws into. While Wings Rescue Center has other flight cages, they are not suited for raptors. It's estimated that the appropriate flight cage will cost about $5,000 including $2,000 for materials. While we are seeking grants, donations to fund this project are also needed. Donations can be mailed to WRC, Box 1912, Rockport, TX 78381 or through the DONATE link on the right side of this page. All donations are tax-deductible as Wings is a 501 (c)3 organization.